TIOGA COUNTY — It’s a busy day with 11 events on the schedule — seven of them are being held in Tioga County. Candor (1-1, 1-1 Division 1) at Marathon (2-2, 2-1 Division 1), 4:30 p.m.: The Indians rallied to defeat the Olympians, 8-7, last week. Dryden (2-2, 2-2 Division 3) at Newark Valley (3-1, 3-1 Division 3), 4:30 p.m.: Their previous meeting ended 11-6 in favor of the Purple Lions, but NV won its last game against OM / WG. Owego (3-2, 2-1 STAC) at U-E (1-0, 1-0 STAC), 4:30 p.m.: The Indians are coming off a non-league win over Greene while the Tigers nipped Ithaca. Candor (3-1, 3-1 Division 1) at Marathon (1-1, 0-1 Division 1), 4:30 p.m.: The Indians dropped their most recent game, but held off the Olympians last week. Dryden at Newark Valley (3-1), 4:30 p.m.: The Cardinals are coming off a 16-0 romp at Whitney Point. Owego (2-1, 1-1 STAC) at U-E (2-0, 1-0 STAC), 4:30 p.m.: Owego rallied to defeat Chenango Forks Monday. S-VE (2-1, 2-1 Division 2) at Tioga (1-2, 1-1 Division 2) 4:30 p.m.: The Panthers cruised past Moravia Tuesday. 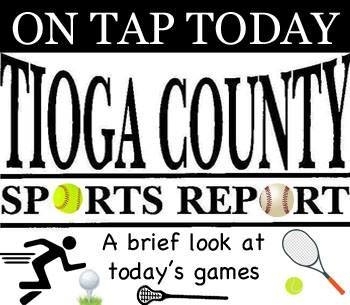 Corning (2-2) at Owego (1-3), 4 p.m.: The Indians dropped their previous match too STAC powerhouse Ithaca while Corning shut out U-E.
Dryden at Owego (1-6, 1-5 STAC), 5 p.m.: The Indians dropped a heartbreaker to Chenango Forks in their last game. Watkins Glen at Newark Valley, 3:30 p.m.: The Cardinals host their second home match of the season. Waverly at S-VE, 4 p.m.: The Panthers host the defending Section IV champs.